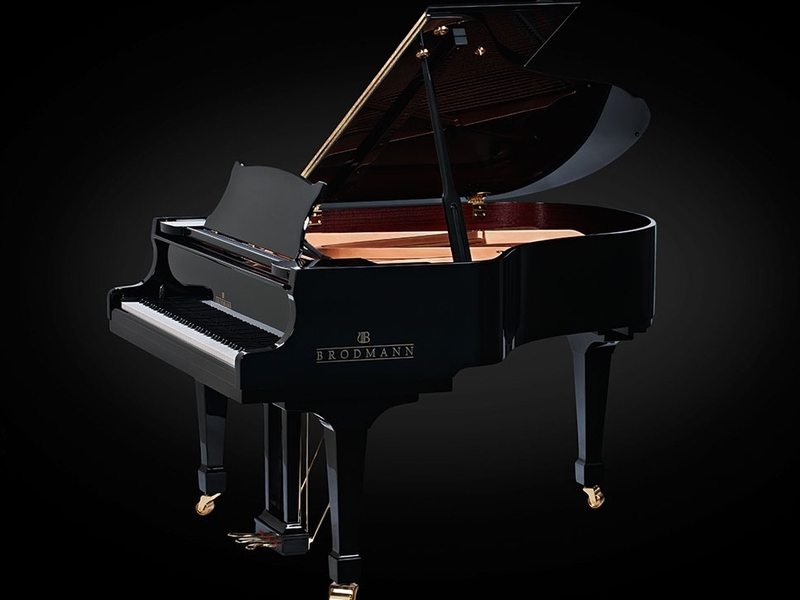 Brodmann’s Conservatory Edition pianos are for the aspiring pianist. The Brodmann CE 175 is the perfect piano for the price conscious buyer seeking Brodmann quality and reliability. Finished in ebony polish with 7¼ octave (88 keys), 3 pedals (including sostenuto), Full Duplex Viennese Scaling, Alaskan Sitka Spruce soundboard with 12 spruce ribs, German Rosslau wire, Japanese hammer felt, and slow close fallboard system.